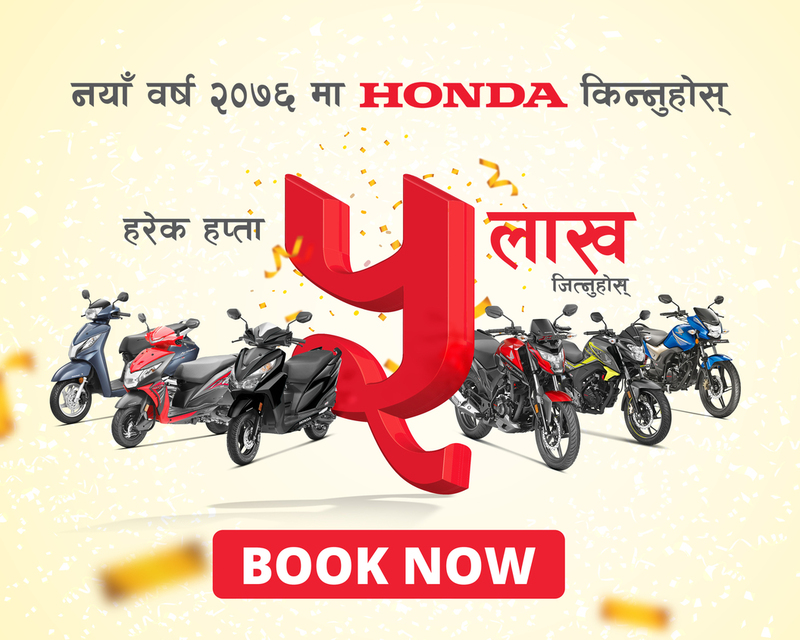 Honda – now gives you the best assurance for you and your Honda 2-wheeler. 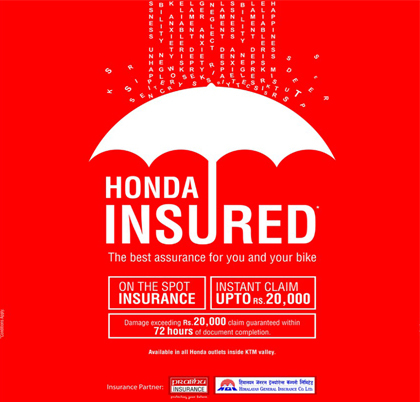 Get your Honda vehicle insured with our Honda Insurance with some simple steps! First and Foremost, our insurance partners are Prabhu Insurance Company and Himalayan General Insurance Company. As about how our Honda insurance works, your insurance of Honda Two-wheeler should be from any of our partners mentioned above. So, if any damage happens to your Honda two-wheeler then first of all, you need to get in contact with the showroom where you bought the two-wheeler from. Second, comes the payment of Insurance premium amount at the same showroom on behalf of Insurance company. However, the premium amount depends on the Insurance type which is, third party insurance and comprehensive insurance. After the premium payment is completed, your insurance will be effective right on the spot. In addition, you can claim the damage up to Rs. 20,000 from the same showroom. But, if the damage claim exceeds Rs. 20,000 then it’s guaranteed within 72 hours of document completion. So, all the details of the documentation process will be completed by the same showroom with the Insurance company to issue Insurance Policy. Also, Insurance Policy will be issued for a year. Hence, these are the details of Honda insurance as mentioned above. However, this service is applicable only at Showrooms and Dealers inside the valley.